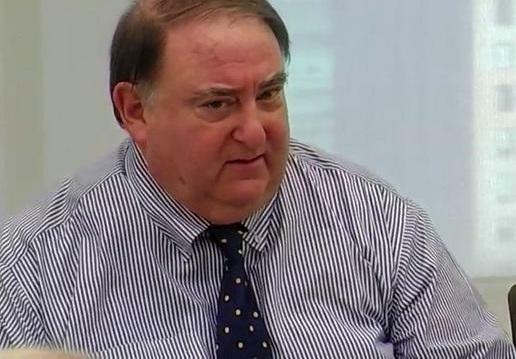 FBI "infiltrator" Stefan Halper tried to worm his way into a senior role within the Trump administration, according to a Monday report by Jonathan Swan of Axios. During the transition following the 2016 election, while still being paid by the Department of Defense for "research" papers, Halper - nicknamed: "the walrus," allegedly approached Trump's top trade advisor, Peter Navarro for a job as an ambassador to an unnamed Asian country. All the while, Halper had been paid handsomely by the Obama administration through a Department of Defense contract, one of four going back to 2012. The most recent contract had a start date of September 26, 2016 - three days after a September 23 Yahoo! News article by Michael Isikoff about Trump aide Carter Page, which used information fed to Isikoff by "pissgate" dossier creator Christopher Steele. The FBI would use the Yahoo! article along with the unverified "pissgate" dossier as supporting evidence in an FISA warrant application for Page. The second installment of Halper's 2016 DoD contract is dated July 26, 2017 in the amount of $129,280 - around three months before the FISA warrant on Carter Page was set to expire following repeated renewals signed by Deputy AG Rod Rosenstein and a federal judge. On July 28, he emailed Page with what the Trump campaign aide describes as a "cordial" communication, which did not seem suspicious to him at the time. In the email to Page, Halper asks what his plans are post-election, possibly probing for more information. "It seems attention has shifted a bit from the 'collusion' investigation to the ' contretempts' [sic] within the White House and, how--or if--Mr. Scaramucci will be accommodated there," Halper wrote. So, it appears that Halper was paid - or at least received suspiciously timed payments - to infiltrate and spy on the Trump campaign, not just during the 2016 election, but well into Trump's presidency. After a Monday meeting between President Trump and Deputy Attorney General Rod Rosenstein, FBI Director Chris Wray and the Director of National Intelligence Dan Coats to discuss the Halper revelations, the White House issued a statement according to which the DOJ said it has asked the inspector general to "expand its current investigation to include any irregularities with the Federal Bureau of Investigation’s or the Department of Justice’s tactics concerning the Trump Campaign" and adds that "White House Chief of Staff Kelly will immediately set up a meeting with the FBI, DOJ, and DNI together with Congressional Leaders to review highly classified and other information they have requested." "Based on the meeting with the President, the Department of Justice has asked the Inspector General to expand its current investigation to include any irregularities with the Federal Bureau of Investigation's or the Department of Justice's tactics concerning the Trump Campaign. It was also agreed that White House Chief of Staff Kelly will immediately set up a meeting with the FBI, DOJ, and DNI together with Congressional Leaders to review highly classified and other information they have requested." Translated: a lot of dirty laundry is about to become public.